If you have a 6 - 10-year-old enrolled with us, we now offer a companion playgroup for younger siblings! 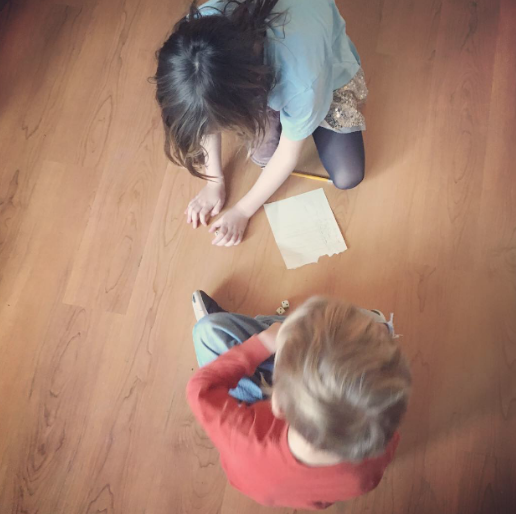 Unlike our academic classes for older students, our homeschool playgroup is all about Project Based Learning. Based on the children’s interest, we will explore collaborative projects while incorporating early elements of reading and math concepts. Examples of possible group projects include building a terrarium, creating a classroom post office or raising caterpillars. This playgroup is designed to support families in teaching their children early literacy and math skills, to offer students the opportunity to work, play and socialize with peers and to foster community among homeschool families. This group is for homeschoolers only, priority is given to those with older siblings enrolled in our classes. A sibling discount is built into the tuition.